Effective August 15, Melanie Paggioli of Oceanport, NJ, will become the second Executive Director of The Friends of the Bruce Springsteen Special Collection. Melanie will take over the position from Bob Crane, who is retiring. This is a natural transition for The Friends and for Melanie, who has spent the last seven years working on many of the organization's major projects. Most recently, she headed a team that created websites for both The Friends and for the Springsteen Special Collection, putting the Collection's entire list of more than 17,000 items on public display. Paggioli was the unanimous choice of The Friends' Board of Directors to succeed Crane. Melanie and Bob have been working together on the transition to ensure that the selection of materials and their archival preservation will be unaffected by the change. "One of the great strengths of this Collection," Paggioli said, "is the depth of its materials, and that is due entirely to the fact that fans from across the world have donated historic items from their personal collections. I am excited about the future of the Collection, because I know we can count on fans to continue helping us add significant items to the Collection." Click here to visit the website of the Friends of the Bruce Springsteen Special Collection. If it were not for Bob Crane, the Special Collection simply would not exist in the first place, let alone have grown into the massive resource it is today. From the early days when the idea was just a gleam in his eye back at the turn of the millennium, Bob has worked tirelessly to make it happen: donating his own personal collection, constantly expanding our holdings with new acquisitions, gathering and inspiring like-minded folks as Friends of the Special Collection. From his daily "care and feeding” of the Collection to the grander vision that continues to inspire our direction, Bob’s wisdom and commitment to this project has been its bedrock. Bob, it’s been our pleasure to travel this road with you. We are still expecting e-mails which share information on the latest books and concert reviews. And please keep those typo corrections for the websites coming! Thank you, from all of us, from the bottom of our hearts. You will be missed beyond words. Now go get a Winnebago or something. The Friends will keep pushing your work forward to make sure that, decades from now, all rock ’n’ roll historians researching the Springsteen Era have just the place to go. The Friends of the Bruce Springsteen Special Collection today announced receipt of a grant from the New Jersey Historical Commission, setting the stage for a major expansion of the Collection. Since its founding in 2001, the Collection has been focused primarily on the written history of New Jersey recording and performing artist Bruce Springsteen, providing public access to over 16,000 books, magazines, newspaper articles and other documents. The Historical Commission grant enables the organization to purchase shelving and archival materials so the Collection, housed on the campus of Monmouth University in West Long Branch, NJ, can for the first time accept posters and recorded music in both audio and visual formats. "These funds will allow us to achieve a long-term goal of accepting and preserving donations of posters, vinyl records, DVDs and videos, and compact discs," said Christopher Phillips, editor and publisher of Backstreets and president of The Friends non-profit organization. "Each of these categories tell a vital part of the Springsteen story, and their addition will add enormously to the research value of the Collection." The grant, he said, is the third by the Historical Commission to the Collection in recent years. Previous grants paid for a large scale microfilming project and the purchase of archival materials for books and magazines. Thanks to donations from fans around the world, Phillips added, the Collection already has a large number of recordings, DVDs, videos, and posters and is expecting significantly more, now that these items can be preserved in state-of-the-art archival materials. Virtually all items in the Collection have been donated by Springsteen fans living in 46 countries. Starting immediately, items in the expanded Collection will be available for use by appointment, Monday to Friday. For further details on donating items to any of the four new categories, please write The Friends at springsteencollection@aol.com. For details on the Collection, please visit brucespringsteenspecialcollection.net. The Bruce Springsteen Special Collection relies almost entirely upon fans for the books, newspaper articles, fanzines and other elements of Springsteen history that have turned the Collection into a world-class research facility. From the first 1,000 donated materials 10 years ago, the Collection has grown to more than 15,000 items, and if the reaction to Wrecking Ball so far is any indication, 2012 stands to be our busiest year yet. If you'd like to help document Wrecking Ball, read on. Links to relevant Web sites. We know there will be a vast number of original Wrecking Ball articles written exclusively for Web sites. We want the best of the best: if you think an online article represents a significant point of view, send us the link. 2. Ticket stubs: This is one of our newest collections. We know it is hard to part with mementos such as stubs, but if you happen upon extras after a show, grab 'em. 4. Keep in touch: It helps us a great deal to know which publications you have for the Collection. Before sending any material, write us at pbjcrane@gmail.com so we know what you've found. We'll try to answer any questions; feel free to ask. The Bruce Springsteen Special Collection, formerly housed at the Asbury Park Public Library, has moved to Monmouth University in the Jersey Shore community of West Long Branch, where it will reopen to the public on November 1. Celebrating its tenth anniversary this year, the Collection has expanded from original donations of 1,000 books, magazines and fanzines in 2001 to over 14,800 documents today, thanks to donations by fans around the world. Cared for by the Friends of the Bruce Springsteen Special Collection and the library staff, the expanding Collection rapidly exceeded the library's storage capacity, precipitating the move. 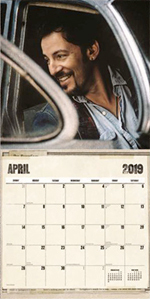 The Collection grew out of a survey in 2001 by Backstreets showing that magazine and newspaper articles on Springsteen's early career were becoming increasingly scarce. "The partnership between Monmouth University and the fan community offers a great opportunity to ensure the preservation of Springsteen-related history at one place," said Christopher Phillips, editor and publisher of Backstreets and president of The Friends of the Bruce Springsteen Special Collection. "At the University, the Collection will be publicly accessible to all who have a serious interest in Bruce Springsteen's life and career." Relocation of the Collection to Monmouth University culminates a four-year search for a site in New Jersey that combines the right of public access with proper environmental controls, security, and an opportunity to expand. University President Paul G. Gaffney II said the University "is the perfect location for this outstanding Collection. Students and faculty from Monmouth University, especially our music industry students, will benefit greatly from having access to these documents. I hope it will also serve as a valuable resource for members of the academic community from around the world." The move to the University keeps the Collection in a Jersey Shore community with a deep connection to Springsteen history. Springsteen played at least 24 concerts in Long Branch communities between 1968 and 1974, with many others a stone's throw away. Long Branch, and its contiguous neighbor West Long Branch, hosted most of Springsteen's early bands, including The Castiles, Earth, Child, Steel Mill, and The Bruce Springsteen Band, at venues ranging from sandy beaches to gymnasiums. The newly formed E Street Band made an early appearance at Monmouth College on Feb. 16, 1973 for a "Save The Trees" concert featuring $1 ticket prices for anyone who brought paper recyclables. Robert Santelli, a Monmouth alumnus, author, and executive director of the GRAMMY Museum in Los Angeles, helped facilitate the transfer to the University. "The Collection," he said, "not only offers Springsteen fans the chance to explore various aspects of his career, but students, scholars, and journalists will also benefit from the access that Monmouth University will now provide. The additional space at Monmouth allows for the Collection to grow and in the future include recordings, oral histories, film footage, and other documents." Starting November 1, the Collection will be available for use by appointment, Monday to Friday. Please see the Collection website at http://www.brucespringsteenspecialcollection.net for further details. Ladies and gentlemen, change your bookmarks! There's a new online home for the Bruce Springsteen Special Collection and you'll find it at www.brucespringsteenspecialcollection.net. The site contains the most up-to-date listing of the more than 11,100 documents in the Collection, including the results of the microfilming project made possible by a grant from the New Jersey Historical Commission to The Friends of the Bruce Springsteen Special Collection. The new site is the first step in a long-anticipated reorganization of the Collection that will eventually allow The Friends to begin accepting historic Bruce items in formats other than books, magazines, fanzines and other printed documents. With the Dream tour hitting full stride, The Friends are working to fully document the tour for the Springsteen Special Collection and we once again turn to you for help. We're specifically interested newspaper and magazine articles that preview, and review, Bruce as he and the E Street Band sweep across the U.S. and into Europe this summer. If you can help with articles from shows in your area, please contact us at pbjcrane@erols.com to make arrangements. Many thanks! 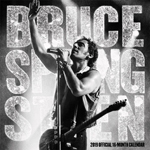 YOU MAY ALSO WIN A PRIZE AUTOGRAPHED BY BRUCE AND CLARENCE! The Friends of the Bruce Springsteen Special Collection preserve and manage the indispensable collection of works which tell the written history of Bruce Springsteen and his bands. The Collection, at the Asbury Park Public Library, is also part of our way, as fans, to show our respect for Asbury Park, its history, and its potential. When you join the Friends, you support the preservation and growth of a treasure house of information  the largest collection of books and magazines anywhere covering Bruce Springsteen and his bands. You'll be in a partnership with fellow Springsteen fans to enhance the size and quality of the Collection, maintain high archival standards, and ensure that the Collection is publicly accessible for the use of scholars, critics, researchers, biographers, journalists and fans. Now through September 30, 2008, everyone who joins the Friends as a Charter member will be automatically entered into a drawing to be held on October 1, 2008. A NUMBERED, LIMITED EDITION COPY OF Born To Run, The Unseen Photos, autographed by both Bruce Springsteen and Clarence Clemons! A letter of authenticity signed by the Friends of the Bruce Springsteen Special Collection President and Backstreets Magazine editor, Christopher Phillips. The Friends organization is deeply grateful to Bruce, Clarence, and Eric Meola for providing this rare and valuable item. Our new Friends of the Bruce Springsteen Special Collection T-Shirt, featuring the Friends color logo on the front. Members can also purchase shirts at a discount through the Friends’ website. Our 2008 limited edition Friends collectible bookmark, featuring an Asbury Park landmark known for "readings." Our newly redesigned membership card. DARKNESS: "A MAP OF THE FUTURE"
On June 2, 1978, after 11 prolific months in the recording studio, Bruce Springsteen released Darkness on the Edge of Town. During the sessions, he had struggled with the paradoxes of rock 'n' roll  the joy and happiness that clashes with an inescapable sense of hardness and loneliness, until finally abandoning any attempt at reconciliation. As eventually released, Darkness portrays, in Springsteen’s words, a "community under siege" and a battered people holding on to the faith of a promised land. Released two-and-a-half years after Born to Run salvaged his career, Darkness gave Springsteen both his adult voice and his political voice. In "A Map of the Future: Darkness on the Edge of Town at 30," critic and two-time Pulitizer Prize finalist Joyce Millman explores the many facets of the album, including Springsteen's "affirmations of democratic ideals," which are, she says, as "relevant today as commentaries on the darkness of cynicism and the dragons of endless war" as they were 30 years ago. Read Millman’s essay, written for the Bruce Springsteen Special Collection. If you'd like to be part of the largest expansion ever at the Springsteen Special Collection, here's your ticket. 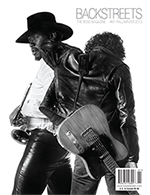 Devoted to preserving written Springsteen history, the Special Collection celebrates its sixth anniversary this year by adding newspaper articles to the huge number of magazines, fanzines, tourbooks, songbooks, and printouts of internet articles already available to the public at the Asbury Park Public Library. Considering how newsprint colors and degrades with age, this is a critical period for collecting, photocoping and archiving articles that help tell the Springsteen story. Working with an international group of fans, managers of the Collection have compiled a starter list of donated articles on an unpublished page which you can review here. If you have album and concert reviews, interviews, personality profiles, and editorials along with other commentaries from newspapers sitting around in boxes or scrapbooks, and can share, please send a description of your materials to pbjcrane@erols.com. And while you're at it, check out the group which manages the Collection at www.friendsofthespringsteencollection.org.